. 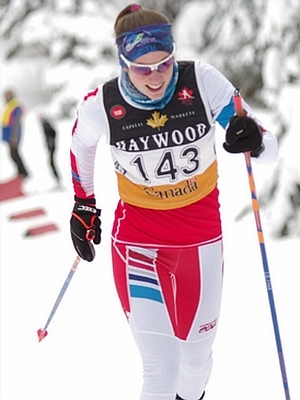 : Kyla Vanderzwet :: Ski XCOttawa.ca :: Skiing in Ottawa and Gatineau Park :. I'm currently at medical school at Western University in London, Ontario, so when I'm not training I'm usually in class or studying ...or napping! Netflix is another much-loved past-time, as is sharing a meal with family or friends. Competed for Carleton University Ravens for gold at OUAs (North Bay) and silver at Nationals (T-Bay) in the CCUNC relay. I love skiing the Morall loop at Nakkertok when there's fresh snow. Any kind of crust skiing (ex. off of Burma trail) is also awesome! That's a tough one...probably a max aerobic speed workout! Maintain my fitness while in school and enjoy the racing experience! Training partners are #1 for this, for sure. No one can make you go faster than that person who's just ahead of you!